The Wokingham Log Chalet Granny Annexe. The Wokingham is ideal for the weekend guest and the not so young child that needs his or her space and makes a perfect Grandperson's Annex, with somewhere to enjoy the independence of their own home and just far enough away from the maddening crowd to feel part of the family. 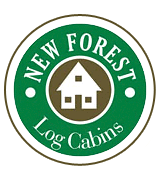 Constructed in 92mm square log to FULL Building Regulations for year round living.